Being a small tropical island, Koh Tao has, exept diving, a lots of water based activities available. There are daily around the island snorkeling trips available through numerous travel agencies or resorts or you can be independent and hire your own long tail taxi boat for a full or half day. You can explore Koh Tao’s bays and coral reefs at your own pace. You can spend a few hours on the beautiful Koh Nangyuan, apparently the only place in the world where there are three islands connected by a sandbar. Any of water taxi’s will take you there from Sairee beach and pick you up at an agreed time. Feel like you need some physical activity? 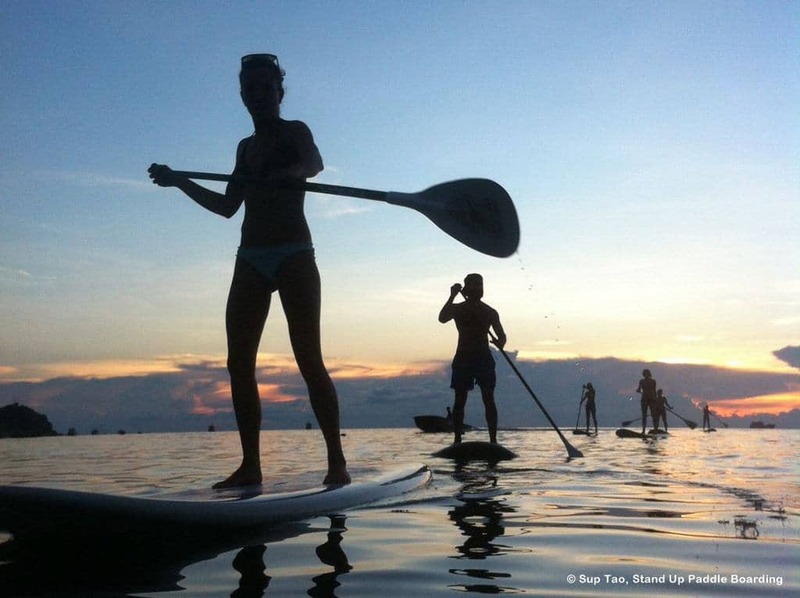 Why not rent a stand up paddle board or kayak? The sea conditions make this ideal with low to zero waves and weak to mild currents around the island for most of the year. You can rent them from most of the beaches. Once you have finished your scuba diving course you can relax at one of the many great beaches: Aow Leuk, Tanote Bay, Freedom beach or Jansom beach. All offer azure blue waters great for swimming or snorkeling; beautiful surroundings and a place or two to eat or drink and relax. Need something more adventurous? 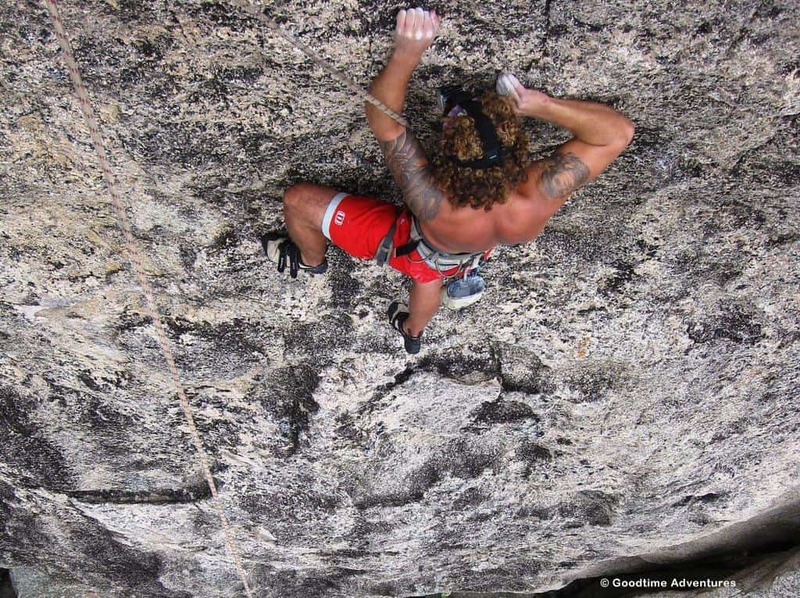 Goodtime Thailand offer rock climbing, abseiling, bouldering, hiking and more. They are easy to find on Sairee beach. If you have energy to burn why not practice yoga or work up a sweat at the Muay Thai Training Gym; they have regular fight nights each month where you can watch several fights of different weight categories, it makes for a great night out. Fancy a workout? Then try Gym and Fitness they have day, weekly or monthly passes. For something more relaxing and fun there is mini golf at Koh Tao Leisure Park. Enjoy as many rounds of mini-golf as you like or try the pool tables or watch a movie at the small air conditioned cinema and there is food at The Hacienda Bar and Grill situated in beautiful gardens, deep pan pizzas, English Pub Grub or Tex-Mex. Did I mention massages? There are loads of massage shops to rub away the stresses of travelling. Just walk down any street and you find them. Do you want to know more about Koh Tao? Read also more about ‘How to get to Koh Tao‘? Need a more relaxed activity or something that all the family or friends can do together, how about an authentic Thai cooking class at Idjangs Kitchen, they have over 10 years of commercial cooking experience and a passion for sharing their knowledge. Discover scuba diving and read more about Koh Tao scuba diving. Join Mojo Divers for a Koh Tao dive course? Read more about diving school Mojo Divers. Questions, feel free to contact us.